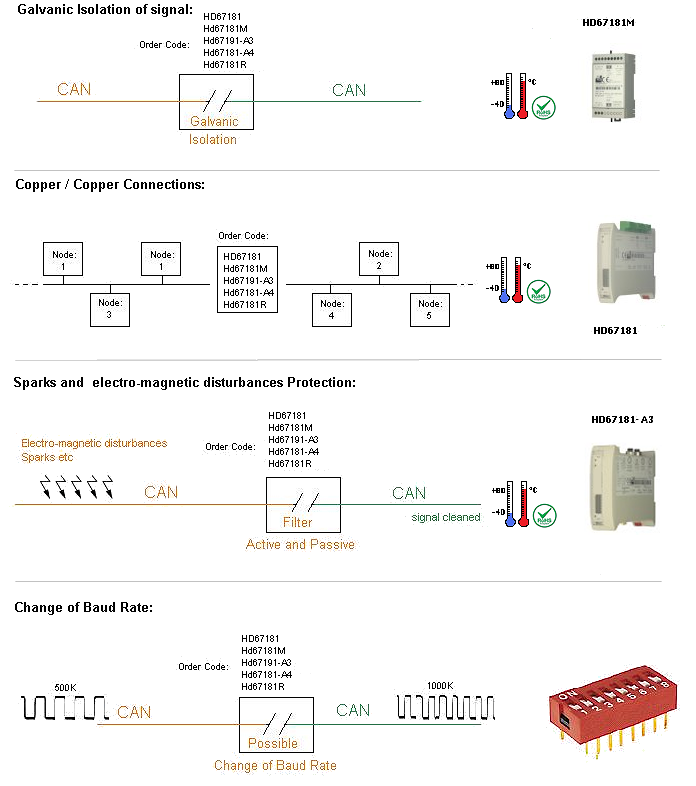 The ranges includes various products for solving all the needs of a CAN line like extension of the line, increase of nodes number, isolation of CAN branches, protection from spikes noise and electrostatic charger or simply to change the communication baudrate. 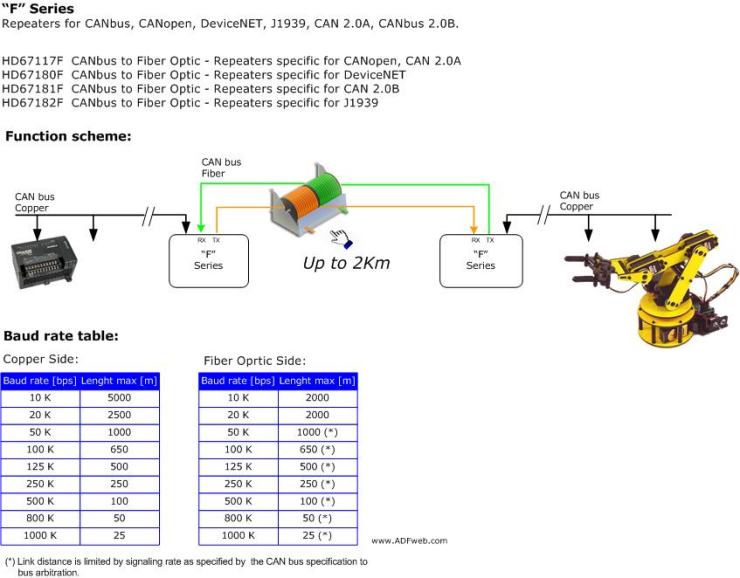 The HD67181 and HD67181M devices are repeaters/isolators for CAN buses. The HD67181R, HD67181-A3 and HD67181-A4 devices are repeaters/isolators with a 3kV isolation between the two CAN bus. 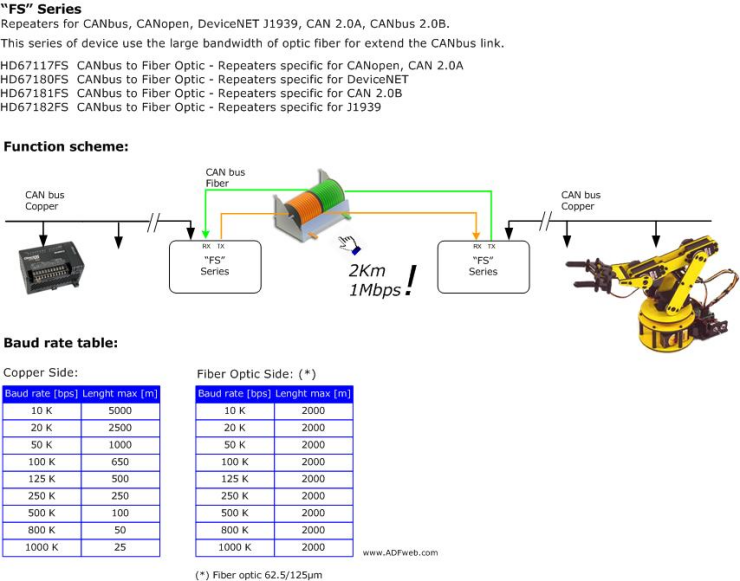 The HD67181F and the HD67181FSX are generic CAN repeaters that allows to extend a CAN network through Multi-Modal optic fiber.